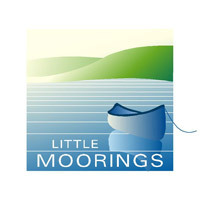 Little Moorings is a boutique three-storey apartment complex with a lift overlooking a secure private garden and ideally positioned along the banks of a picturesque canal. 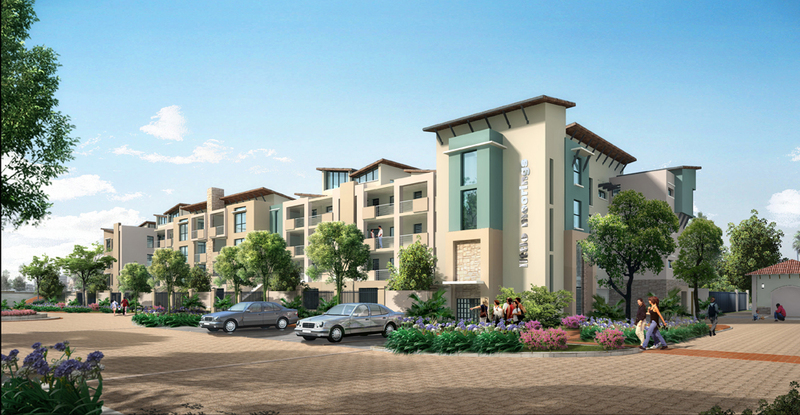 This sectional tile complex consisting of just 39 apartments. It has an intimate and friendly feel, but also offers residents an amazing range of lifestyle benefits, plus all the convenience, security and tranquility that Century City has to offer. Apartments range from lovely one-bedroom apartments with large patios overlooking the garden and waterway, spacious 70m² one-bedroom north-facing apartments, two bedroom apartments from 78m² to 82m² (excluding terraces and balconies) as well as two-bedroom duplexes with a mezzanine floor, between 95m² to 99m² (excluding balconies). 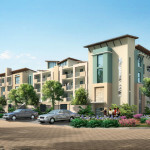 All apartments include parking bays and a select number have allocated storerooms. 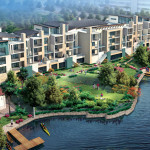 Little Moorings has been designed from the ground up as an energy-efficient building to lower living costs. Gas hobs come standard, providing an instant and highly affordable source of heat to cook on. 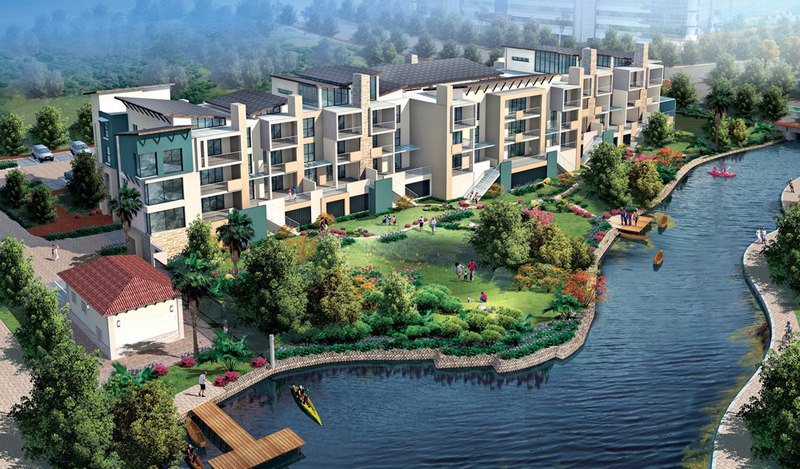 In addition, the high-tech energy-saving hot water system dramatically reduces water heating costs, and the fully maintained gardens are affordably irrigated with recycled water. 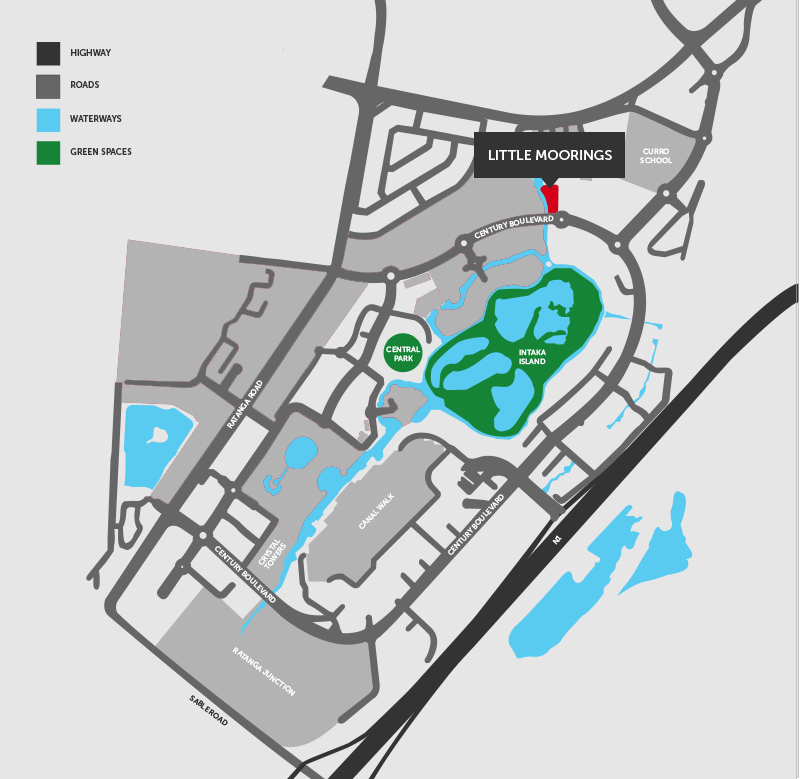 Little Moorings properties are all equipped with access control and effective perimeter fencing, and are protected by state-of-the-art network and security services of the Century City Property Owners’ Association. These include 24-hour security patrols and round-the-clock live monitoring of over 90 CCTV cameras. An additional feature is the super-fast fibre optic infrastructure provided by Century City Connect.